The three Expedition 57 crew members from the United States, Germany and Russia will soon be observing the 20th anniversary of the launch of the International Space Station’s first module. On Nov. 20, 1998, the Zarya cargo module was launched aboard a Russian rocket and placed into orbit beginning the era of station assembly. In the meantime, the crew orbiting Earth since June worked on a variety of advanced science hardware today. The trio ensured the safe and ongoing research into combustion, physics and biology in microgravity to benefit humans on Earth and in space. NASA Astronaut Serena Auñón-Chancellor swapped cartridge holders inside the Electrostatic Levitation Furnace (ELF) that explores what happens to materials exposed to extremely high temperatures. 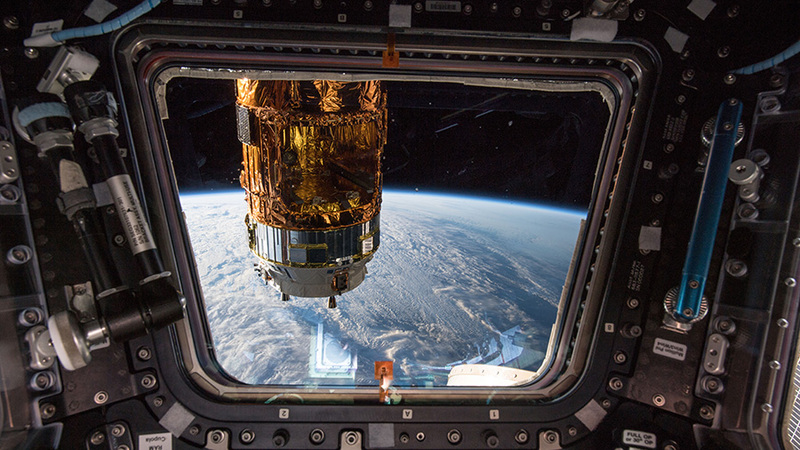 The device located in Japan’s Kibo lab module measures the thermo-physical properties of samples that are melted and solidified and difficult to observe on the ground. Commander Alexander Gerst from ESA (European Space Agency) worked on the new Life Sciences Glovebox launched to the space station aboard a Japanese cargo ship at the end of September. He is configuring the biology research facility for service inside the Kibo lab. Cosmonaut Sergey Prokopyev worked inside the U.S. Destiny lab module replacing the Combustion Integrated Rack’s (CIR) fuel bottles. The CIR has been enabling research and observations into how fuels and flames burn in space on the orbital lab for over ten years. Results may guide the development of rocket engines and fire safety aboard spacecraft. 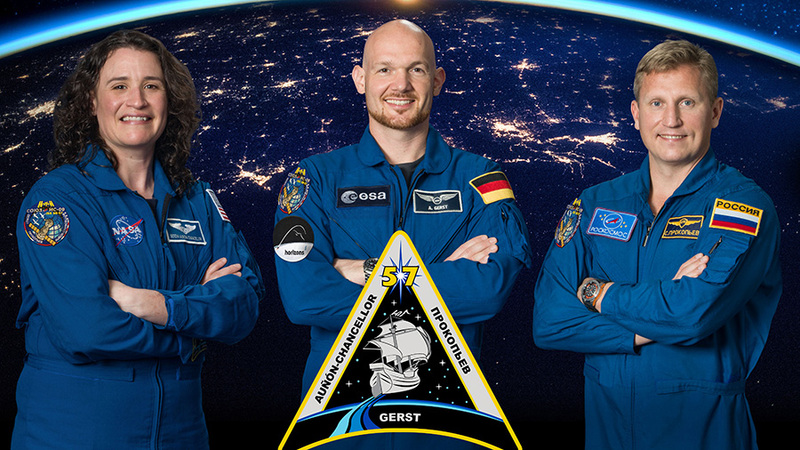 Official crew portrait of Expedition 57 crew members (from left) Serena Auñón-Chancellor of NASA, Alexander Gerst of ESA (European Space Agency) and Sergey Prokopyev of Roscosmos. 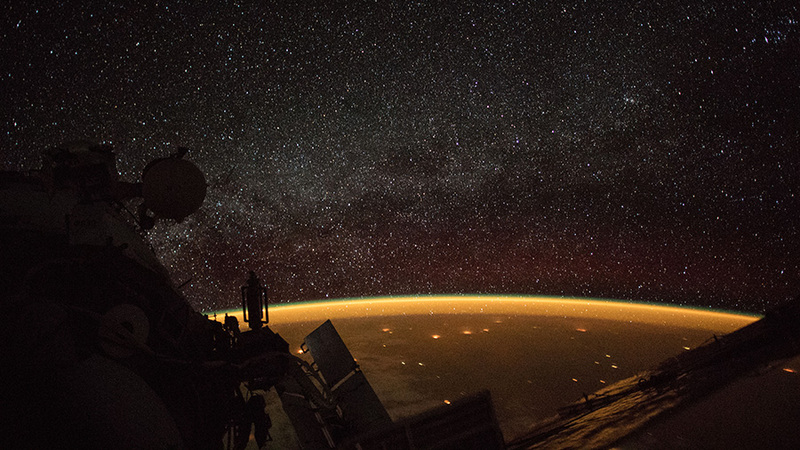 U.S. spacesuits and hot, fiery research kept the Expedition 57 crew busy Friday. The three-member crew from around the world also continued the ongoing upkeep of the International Space Station’s systems. A pair of spacesuits inside the Quest airlock had their cooling loops scrubbed today by station Commander Alexander Gerst of ESA (European Space Agency). The suit maintenance comes ahead of a pair of spacewalks being planned to connect new lithium-ion batteries on the space station’s port truss structure. Fellow flight engineers Serena Auñón-Chancellor of NASA and Sergey Prokopyev of Roscosmos worked on advanced science hardware. The two devices, the Electrostatic Levitation Furnace (ELF) and the Combustion Integrated Rack (CIR), enable the safe research of high temperatures, flames and gases. Auñón-Chancellor cleaned up the ELF inside the Kibo lab module after removing samples exposed to extremely high temperatures. 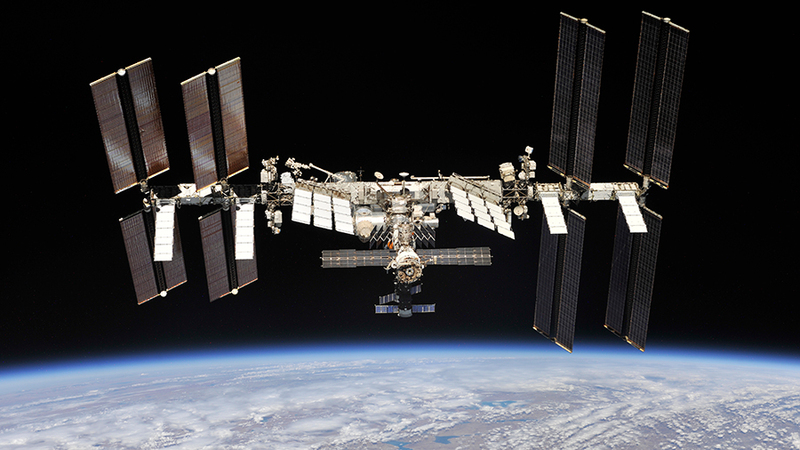 Scientists are observing how microgravity affects the thermophysical properties of a variety materials at different temperatures. Prokopyev worked in the Destiny lab module replacing fuel bottles for experiments inside the CIR researching how fuels and flames burn in space. Results may guide the development of rocket engines and fire safety aboard spacecraft. 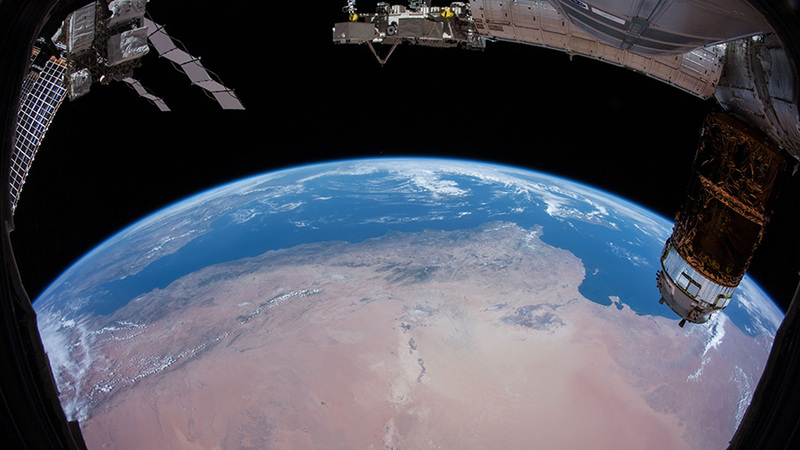 North Africa and the Mediterranean Sea are pictured as the International Space Station orbited 254 miles above the African continent. 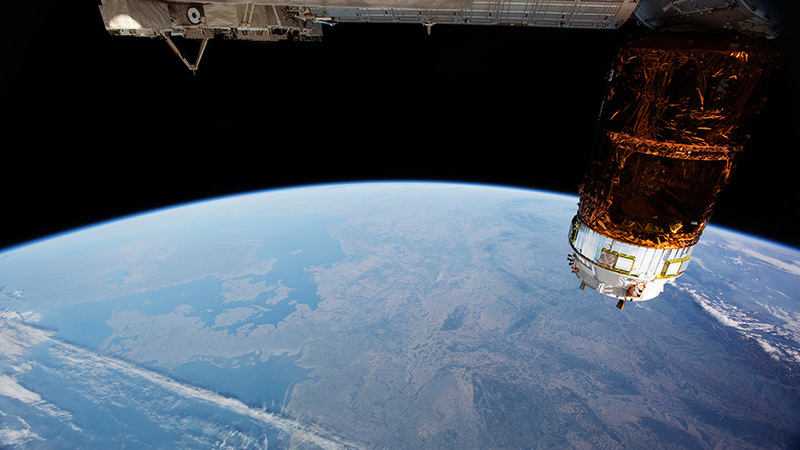 Japan’s Kounotori H-II Transfer Vehicle-7 (HTV-7) is pictured at left attached to the Harmony module. Three Expedition 57 crew members are staying busy aboard the International Space Station after the climb to orbit of two crewmates was aborted Thursday morning. American Nick Hague and Russian Alexey Ovchinin made an emergency landing shortly after launch, but are in excellent shape and back in Russia. 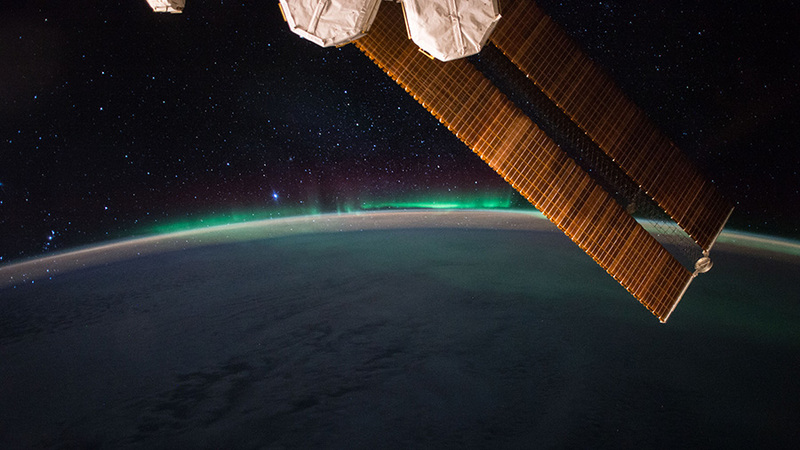 The trio in orbit is continuing science and maintenance aboard the orbital laboratory. NASA astronaut Hague and Roscosmos cosmonaut Ovchinin are safe and returned to Moscow with mission officials after their aborted mission. The Soyuz MS-10 rocket booster experienced a failure about two minutes after launching from the Baikonur Cosmodrome in Kazakhstan. Hague will return to Houston, Texas, on Saturday and Ovchinin will stay in Moscow. 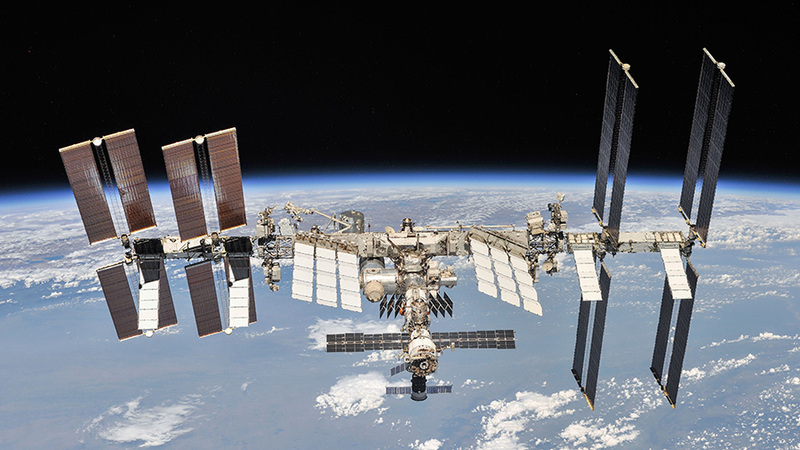 Investigations into the cause of the failure are beginning, and the space station international partner agencies are evaluating what changes to the station’s operating plan will need to be adopted. 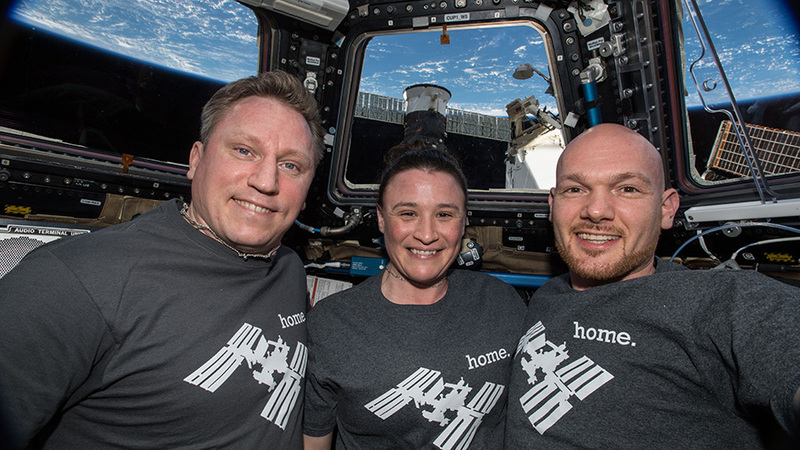 The three humans still orbiting Earth are safe with plenty of supplies and work to do on orbit. Commander Alexander Gerst and Flight Engineer Serena Auñón-Chancellor started their day measuring how microgravity has impacted their muscles for the Myotones study. They then moved on to researching an ancient technique that may be used for emergency navigation on future space missions. Serena Auñón-Chancellor is scheduled to talk with two different school groups on Monday and Thursday next week. One of those conversations will involve the flight of Seaman Jr., a plush toy that is part of the National Park Service’s celebration of its the 3,700 mile Lewis and Clark National Historic Trail. Flight Engineer Sergey Prokopyev maintained life support systems in the Russian segment of the space station. 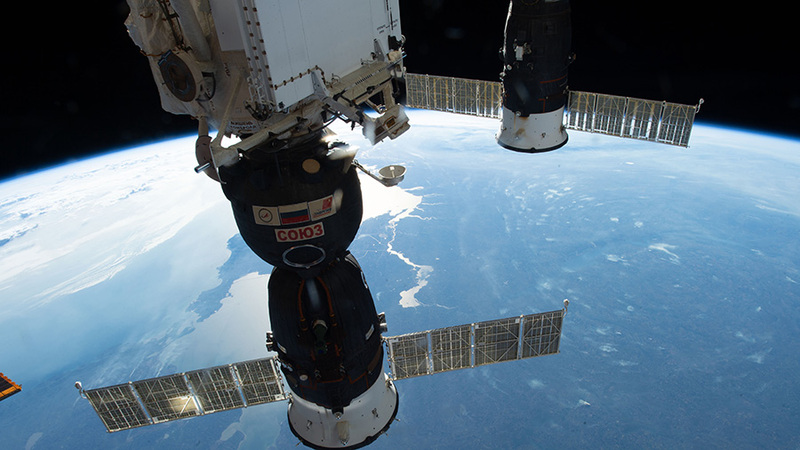 He also updated the station’s inventory system and checked on Russian science experiments.